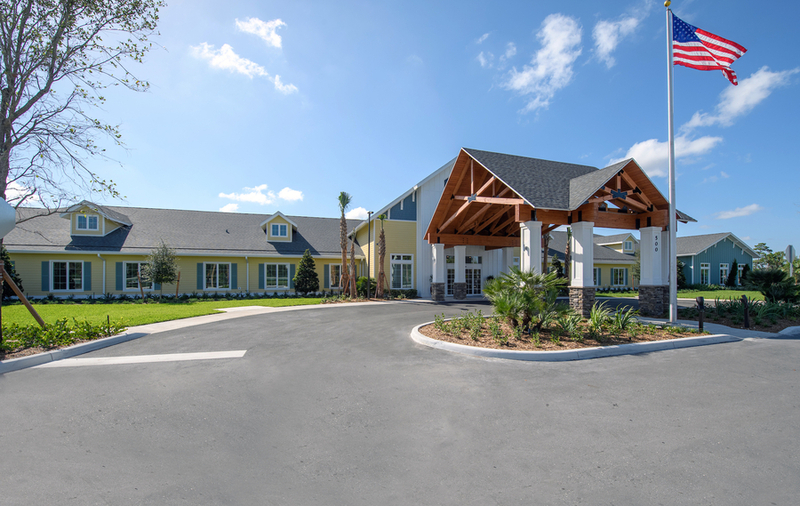 ORLANDO, FL, December 14, 2018 /24-7PressRelease/ — The Douglas Company, General Contractor, is excited to announce completion on the construction of Your Life Senior Living, a new Memory Care Community located in Stuart, Florida. Your Life Senior Living Memory Care Community is a 60,217 square foot, $12.6 million community constructed in four sections, each with its own theme, ensuring that every neighborhood has an individualized, homelike quality. The interior has a bright, open layout with many elegant finishes. Amenities include activity rooms for arts and crafts, and therapy classes, a salon and spa, theater room, putting green, and an interior courtyard that is beautifully landscaped with butterfly gardens and a rock waterfall. The Douglas Company collaborated with Olson Land Partners and architect, Leo A. Daly, to provide this state-of-the-art community that offers 74 residential rooms and is designed to promote safe and abundant living for area residents with Alzheimers disease and related dementias. “We celebrate the completion of this Olson Land Partners signature project, providing the seniors and families in the Stuart area with this exceptional and unprecedented senior living community,” said Kevin Green, Senior Project Manager with The Douglas Company.